Meet the new educational cartoon for kids! 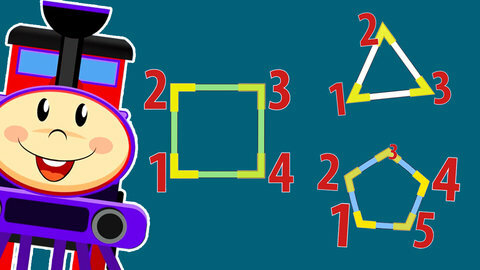 Today our little friend Choo Choo Train will tell you about geometric figures. Rail car helps children learn and remember the new names easily. Let’s count the angles of polygons together on SeeZis.